Are you getting ready to move to a new home in the San Francisco Bay Area? Then you’ll definitely need a reliable portable storage solution in Emeryville. UNITS offers affordable, efficient portable storage in Emeryville, CA, so that your belongings can reach your new destination safe and sound. But what if I need a place to store my stuff before I move? We can handle that, too. 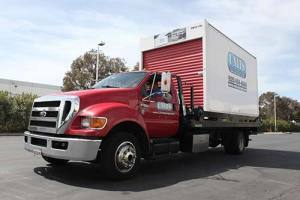 We can store your belongings at our Emeryville storage facility until you’re ready to retrieve them and move into your new home, or we can pick up your storage unit straight from your old address and deliver it to your new one. No hassle, no headache, no unnecessary stress. Emeryville Portable Storage: How Does It Work? Our goal is to streamline the moving process so that you have one less thing to worry about during your relocation. 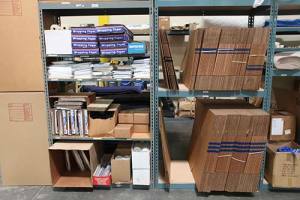 Call us today for your Emeryville portable storage needs! If the thought of driving a big, unwieldy moving truck across the Bay Area makes your blood pressure spike, then you’re not alone. Instead of going through the trouble of renting a moving truck, picking it up, driving it all day, and dropping it back off again, just give UNITS a call. Our Emeryville portable storage services make the entire process a walk in the park. Are you making a long distance move? We have experience with that, too. Call us today to discuss your long distance move in California. We don’t just provide you with portable storage in Emeryville – we also provide you with all the moving supplies you could ever need. When it comes time to load up your UNIT, we can also provide you with last-minute supplies such as boxes, moving tape, furniture pads, and more.